Of course, considering our roots, that commitment to excellence should come as no surprise. MB Autoworks is a member of the highly respected family-owned Craftsman Group of Companies, the proud owner of more than 40 collision repair locations in western Canada with over 40 successful years of leadership in the collision repair field. So we come from a long history of proven dedication to giving you the kind of service and repair quality that you and your Mercedes-Benz-made vehicle deserve – delivered by the highest available quality of personnel and technology, and backed by a full lifetime warranty. Collision repair worthy of your Mercedes-Benz. You didn’t compromise on your choice of vehicle, so why compromise on how it’s repaired? 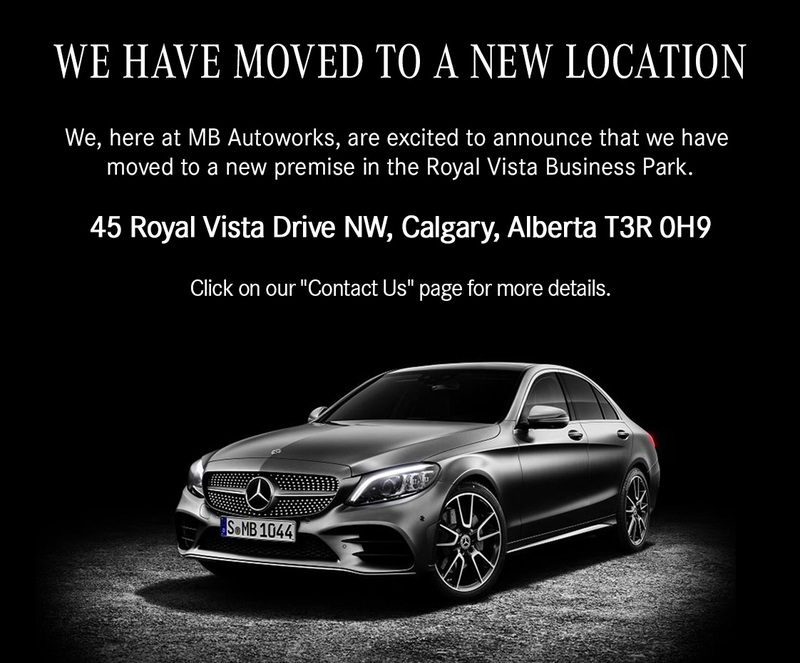 In Calgary, only MB Autoworks is fully trained and authorized by Mercedes-Benz to restore your vehicle to its original pre-accident condition. From comprehensive, fully explained estimates and progress reports to final clean-up and detailing, we treat every vehicle as if it were our own, with the same level of care and attention that went into making it in the first place. Why consider going anywhere else? For Mercedes-Benz, Sprinter, smart fortwo or Metris, it’s MB Autoworks. Exclusive Mercedes-Benz Approved Collision Centre. The Mercedes-Benz Certified Collision Program certifies only those repair facilities that meet the company’s stringent requirements for equipment, repair processes, facility standards and staff expertise. In Calgary and southern Alberta, MB Autoworks is the only Mercedes-Benz collision repair facility to meet these strict criteria – and earn the designation. When you choose a Mercedes-Benz approved repair centre, you’re choosing a company held by Mercedes-Benz to the same ultra-high standards to which it holds itself and its own staff. When it comes to quality and service, we at MB Autoworks are uncompromising. Get in touch With MB Autoworks. Got questions we haven’t already answered? We invite you to explore our website or reach out to us for further details. Our highly skilled staff are at the top of their profession, yet as friendly as you will find anywhere. Regardless of your vehicle – Mercedes-Benz, Sprinter, smart fortwo or Metris – you can be confident that MB Autoworks is your best choice for Mercedes-Benz auto repair in Calgary.